When you need flower delivery to Kahuku HI, North Shore Weddings And Flowers is here for you. We have an expansive array of tropical flowers ranging from gingers, anthuriums, orchids and even roses, flowers, plants (special order) and gifts to suit any occasion, and our experienced staff can work with you to create a one-of-a-kind gift you're sure to love. 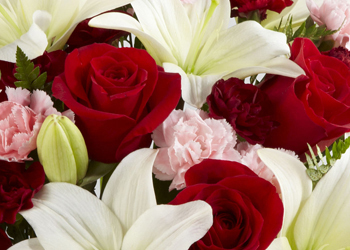 North Shore Weddings And Flowers can help you send the perfect gift to show your loved ones how much you care. We're proud to be one of the leading florists in Kahuku HI and have a wonderful selection of flowers, corsages, gifts and birthday flower arrangements for you to choose from. North Shore Weddings And Flowers in Kahuku HI can help you with sending sympathy funeral flowers as well. Our floral designers use only superior flowers in our arrangements, so call us to get the most beautiful flowers in Hauula HI and Laie HI.